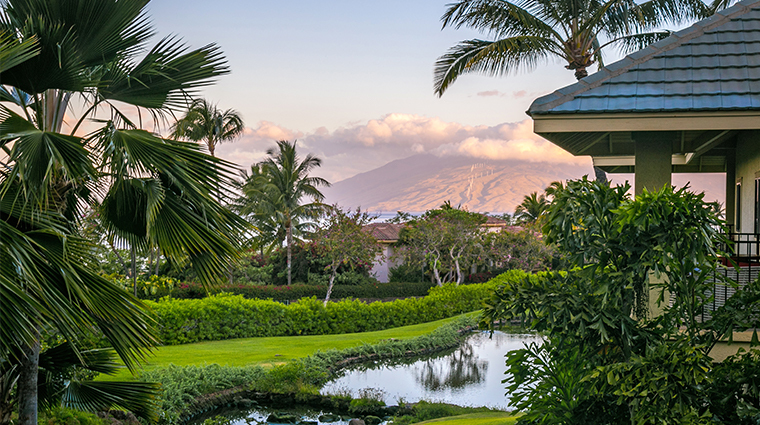 Nestled within one of Maui’s most exclusive enclaves, Hotel Wailea is an intimate, tranquil escape complete with the cliffside views of your Instagram dreams. Home to 72 suites spread across 15 acres of ocean-facing property, this peaceful retreat provides mesmerizing vistas and a calming atmosphere in one of the most popular areas on the island. With waterfalls, winding pathways and tropical plants to welcome you into the resort, you will feel as if you were transported to your own private sanctuary. The lobby features indigenous charm with modern sensibility, boasting 180-degree views of the Maui coastline and three nearby islands. Authentic Hawaiian spirit and culture are shown through the resort’s hospitality, architecture and amenities, making you feel a part of the ohana, or family. Thanks to a seamless blend of indoor/outdoor living and endless walls of windows, Hotel Wailea plays up its best asset from every angle. Fantastic views and pristine weather nearly year-round are reason enough stay in this adults-only resort. 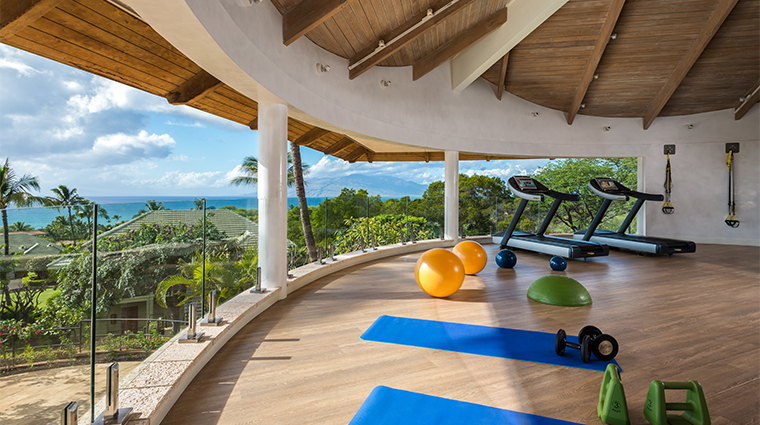 When you need a break from the Maui sun, check out one of the property’s complimentary experiences, including yoga, aerial silks and group fitness classes; Hawaiian outrigger canoeing excursions; and tropical mixology classes. While the Maui hotel may not be directly on the waterfront, a private stretch of sand at nearby Wailea Beach and beach valet services make soaking up the Hawaiian sun a cinch. The Restaurant at Hotel Wailea prepares picnic baskets daily for purchase to enjoy on the sands. The resort offers several exclusive couple’s experiences, including a Flavors of Hawai’i cooking class with chef Krista Garcia, a ride in a 1957 Porsche 356 Speedster reproduction and an in-suite Couples’ Paradise Retreat (a side-by-side lomi lomi massage and coconut milk bath). 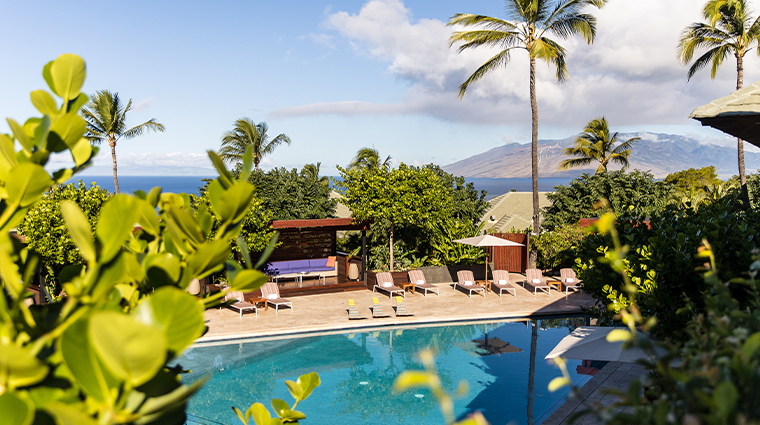 Surrounded by lush tropical foliage and dotted with chic living-room-style cabanas, the pool area at Hotel Wailea beckons for some afternoon relaxation. Fire pits, a hot tub and a poolside bar help you transition from daytime fun in the sun to evening stargazing. Looking to venture beyond the luxury hotel? Tesla Model X house cars are on hand to transport you anywhere within the Wailea neighborhood. Or explore the landscape by renting one of the hotel’s electric bike. Request a room on the top floor for unobstructed ocean and sunset views. Cabanas are complimentary to guests and are available on a first-come, first-served basis. For a guaranteed spot, arrive to the pool early or pay an extra fee to reserve one for the day. Each of the 720-square-foot, one-bedroom suites blends indoor and outdoor living with oversized lanais furnished with stylish chairs and chaise lounges overlooking either the sparkling ocean or gorgeously landscaped gardens. A neutral color scheme ensures that the unrivaled vistas remain the focal point, though coral accents keep things fun. White oak floors, custom Ohia wood cabinetry sourced from the Big Island, granite countertops and Sub-Zero appliances enhance the relaxed Hawaiian beach house aesthetic. Luxe bathrooms equipped with deep soaking tubs and Shells Reef-lined showers (beige limestone made from fossilized shells) provide a spa-like escape. The Restaurant at Hotel Wailea crafts creative island-to-table cuisine sourced from local Maui farms and fishermen as well as its own onsite garden. The Wailea hotel’s chef de cuisine, Zach Sato, is a Maui native who loves showcasing Hawaii’s history and culture through food. Get a taste of island flavor through dishes like smoked Kamuela beets, charred tako (octopus) with macadamia nut romesco sauce, and king crab spaghetti. 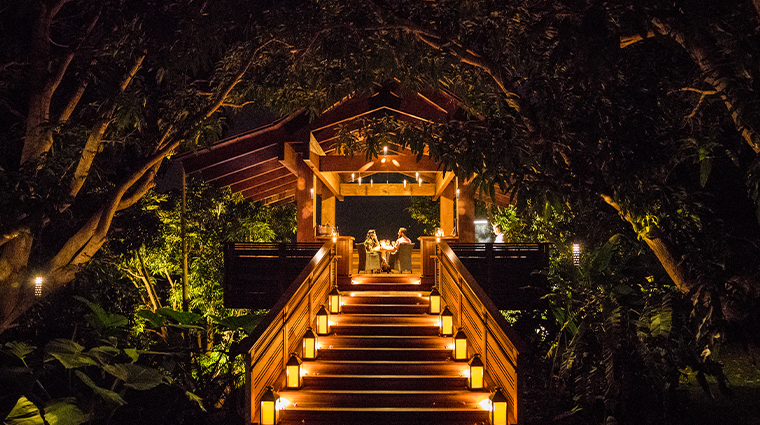 For the ultimate romantic evening, reserve dinner for two in The Treehouse, a secluded destination in the midst of mango and avocado trees with arresting ocean views. Here, you’ll savor a seven-course meal from the team at The Restaurant at Hotel Wailea and a sunset champagne toast for an unforgettable night out. Find casual poolside dining at The Cabanas. Cocktails, fresh-pressed juices, frozen smoothies and light meals are just a few of the offerings on the menu.